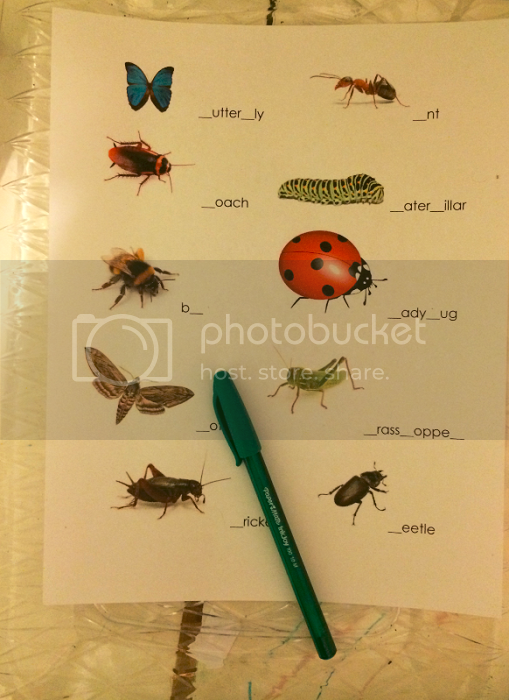 This past week was week one of two of bug, insect and creepy-crawlers week! This week was extra special because we also got to host our homeschool preschool co-op at our house, which was a lot of fun! 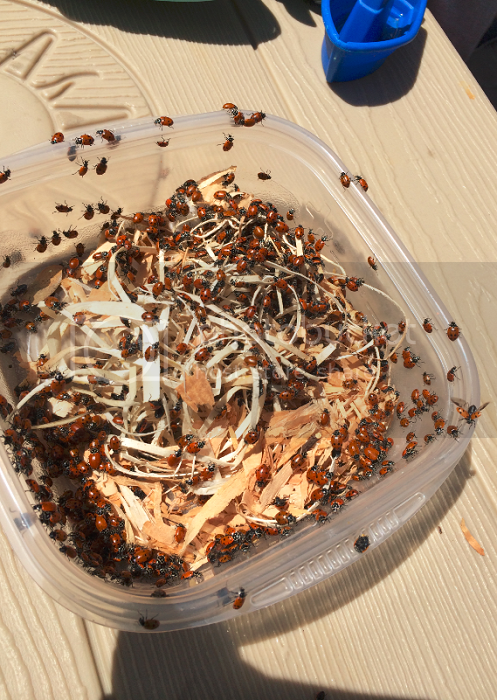 ...as well as release some ladybugs! 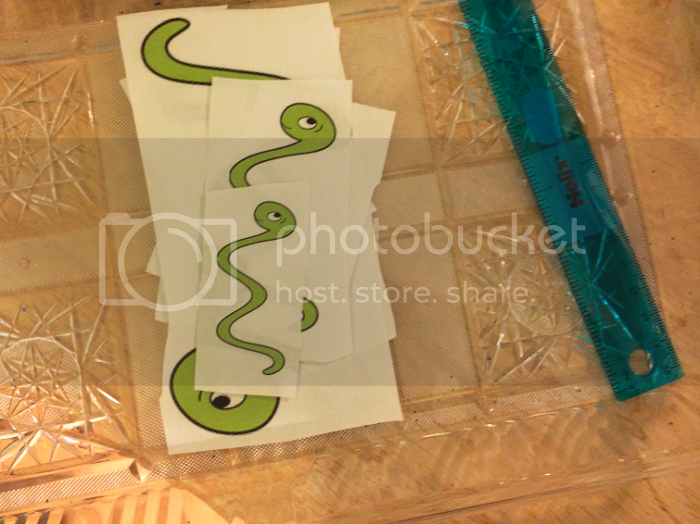 This was an activity we did with our co-op and that appeared in Ethan's weekly tot tray rotations. 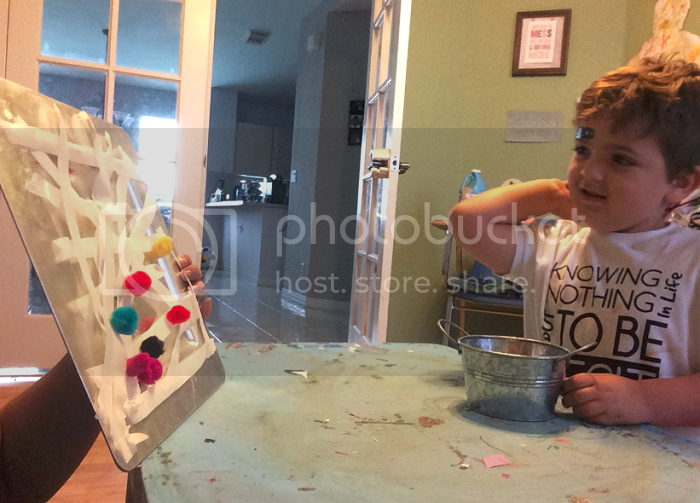 In the past, Ethan has tended to be disinterested in lacing activities, but he really loved this one and did this activity several times over the week! 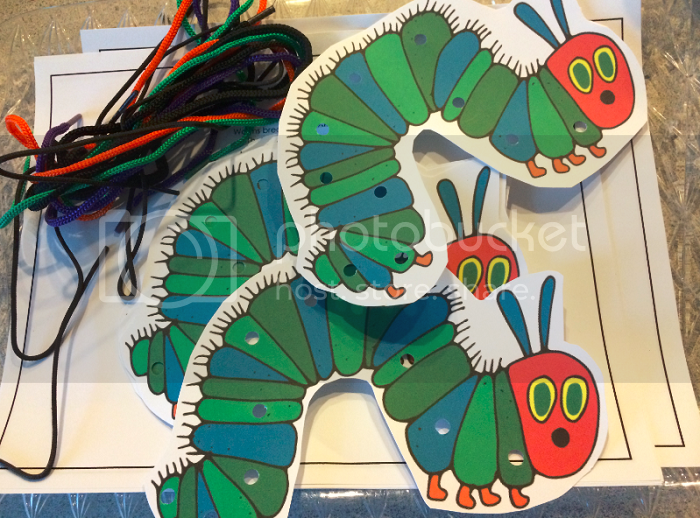 I printed out the Very Hungry Caterpillar on cardstock, punched some holes and threw in some shoelaces for the kids to do their lacing. This was another activity that we featured with our co-op (as pictured here) but also one that stayed in our weekly rotation. 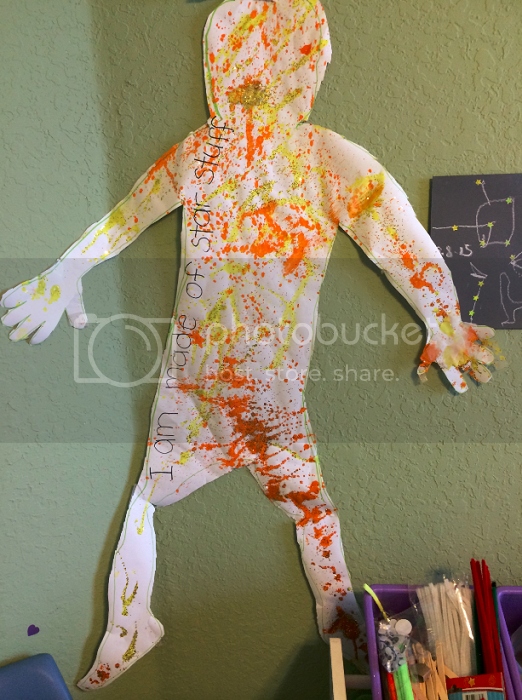 Ethan loved this activity! When doing the activity with the co-op, each child got to take a turn rolling the numbered dice. 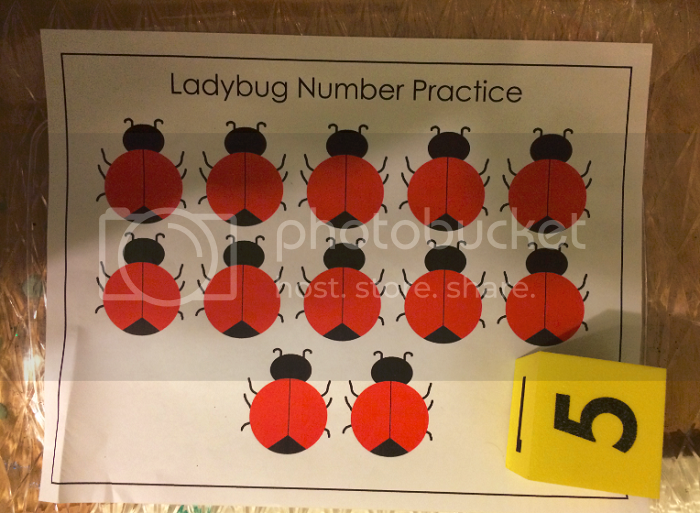 Whatever number was rolled is the number of dots each child got to place on their ladybugs. 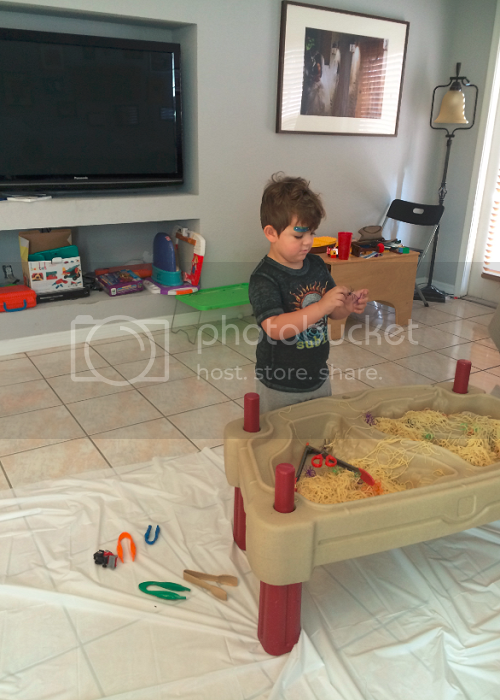 For our co-op, I boiled a whole lot of pasta and placed it into Ethan's water table along with some toy spiders and some tongs. The kids got to have some slimy fun playing in the spaghetti and picking out the spiders! 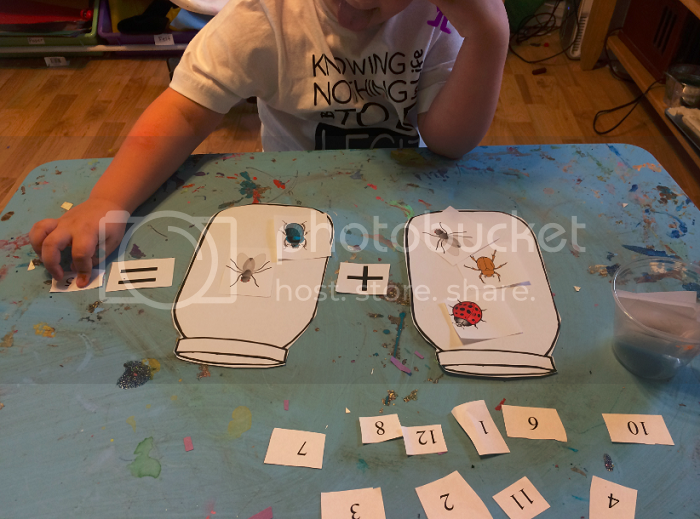 The Bug Math activity was hands down Ethan's favorite of the week. 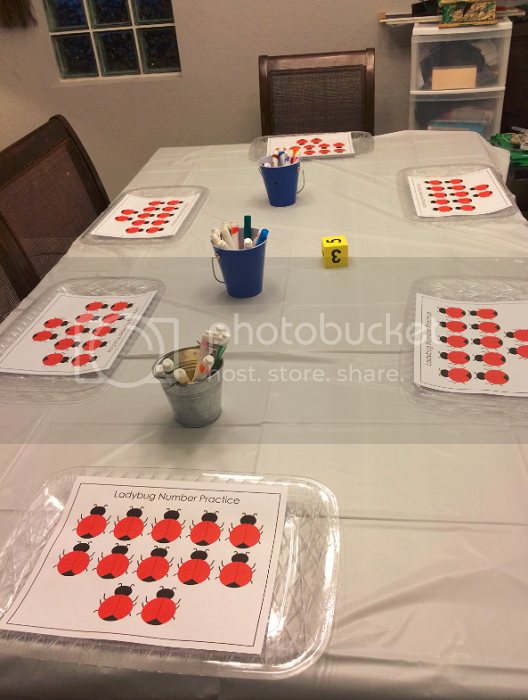 I cut out two jars, a plus and equal sign and some bug cut-outs. 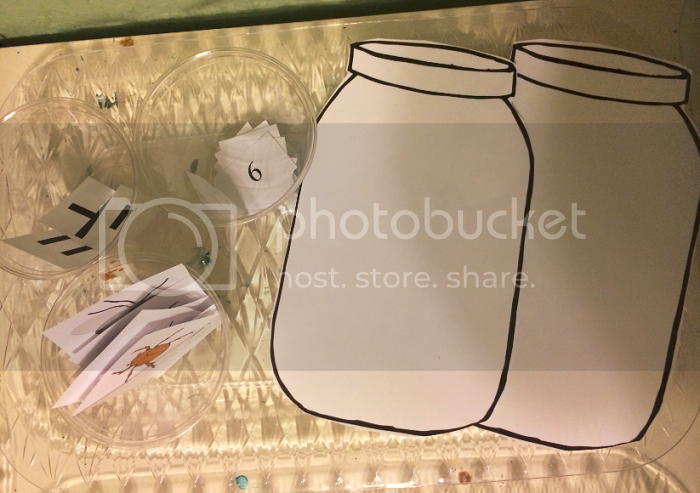 Ethan would place bugs in both jars, count them and then practice adding them up. For this one, Ethan got to practice sounding out each word and filling in the missing letters. 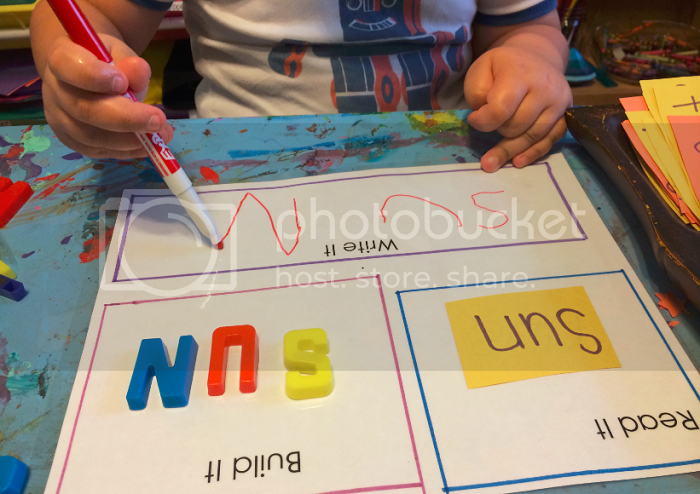 He really enjoyed this activity, especially solving the missing letters in the middle of the words as opposed to just the starting letter. 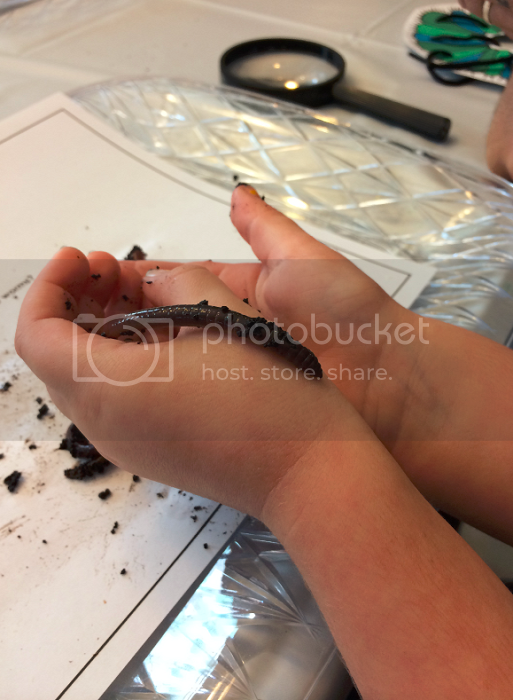 For this activity, we learned about centimeters vs. inches and practiced measuring some inchworms. Ethan was really fascinated with this activity and spent a lot of time working on it. 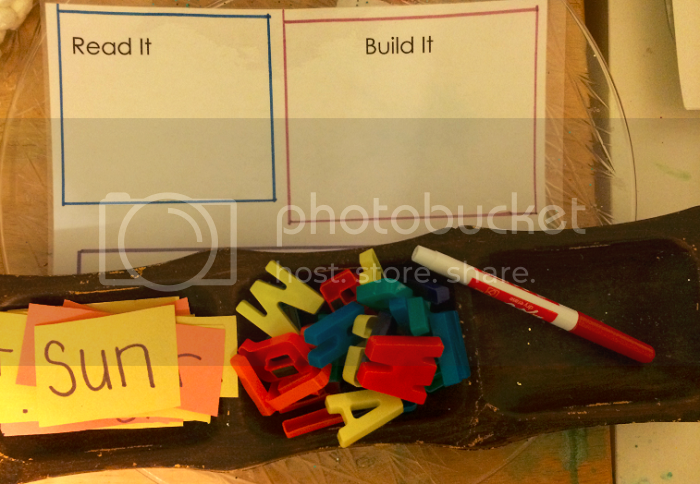 Of course, this slowly morphed into measuring everything laying around our tot school classroom. 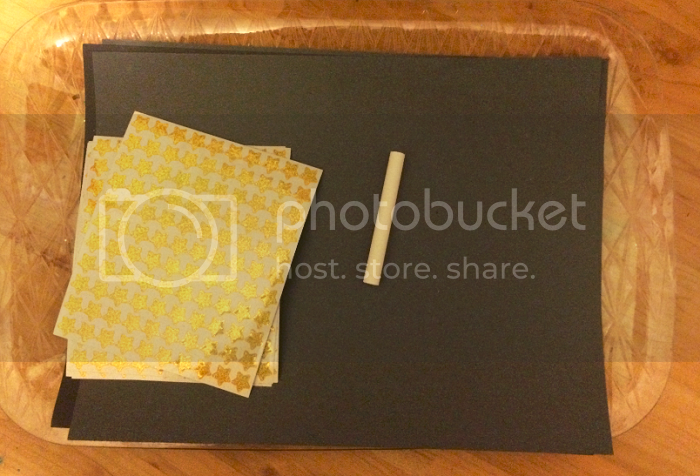 For this activity, I placed some masking tape (sticky side up) on a tray and paired it with a tub of pom poms. Ethan got to practice those gross motor skills by tossing the pom poms onto the tray and hoping they get stuck in the sticky spiderweb! He absolutely loved this game and it'll definitely be rolling over into part two of bug week! We wrapped up week 2 of our stars theme this past week! 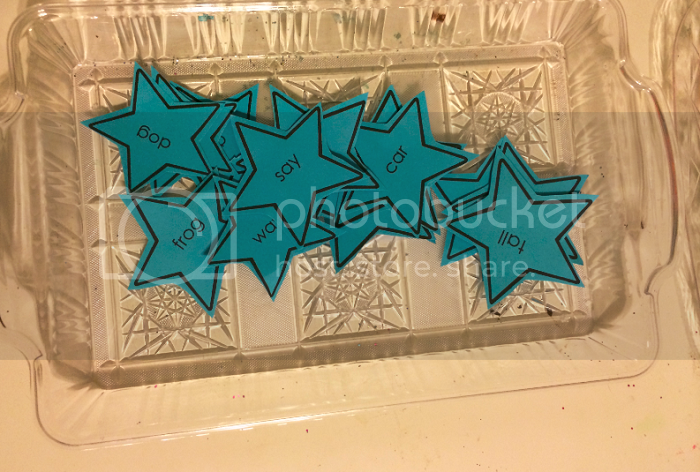 I printed some sight words on blue card stock and Ethan got to practice reading them and match the ones that rhyme. 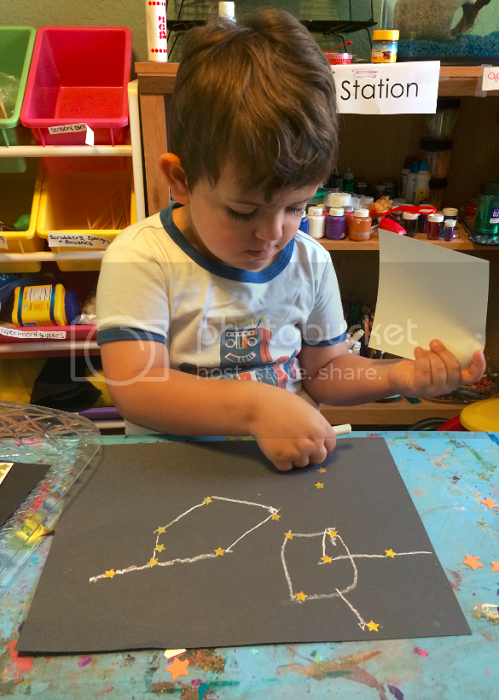 Using star stickers and white chalk on black construction paper, Ethan got to make his own constellations. It was fun seeing the kinds of shapes and constellations that he came up with! 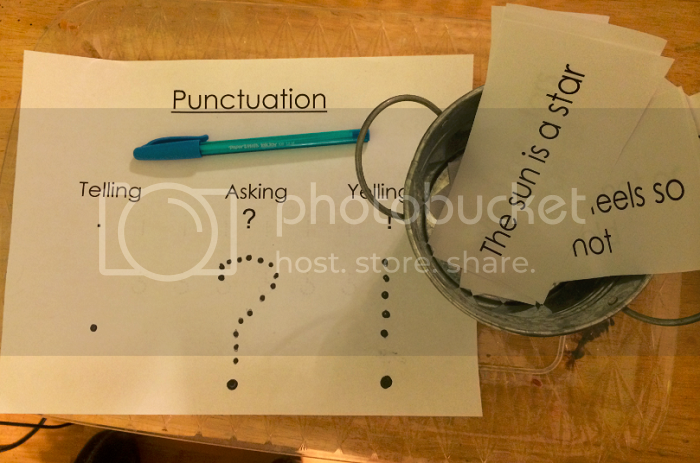 Using some star facts, I introduced the concept of punctuation with an asking, yelling or telling activity. Ethan has been asking about the punctuation marks as we read, so I thought it was a good time to introduce them. 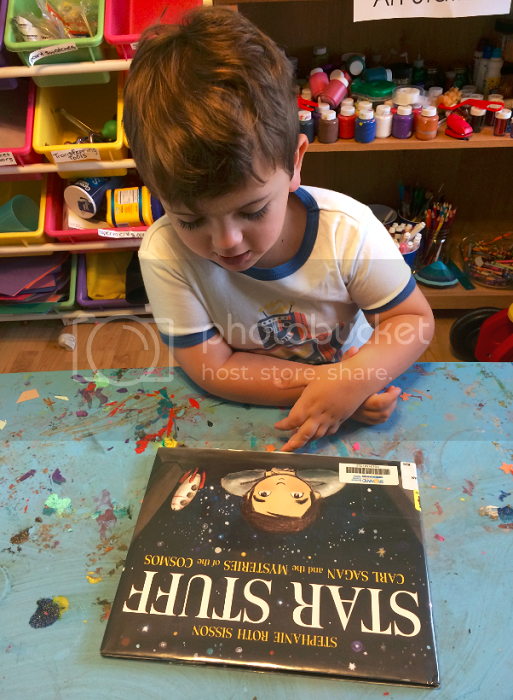 I still have to post on our book bin for this theme, but one of our favorites was Star Stuff, a children's picture book about Carl Sagan. Ethan absolutely loved this story and learning how we are all made of star stuff! 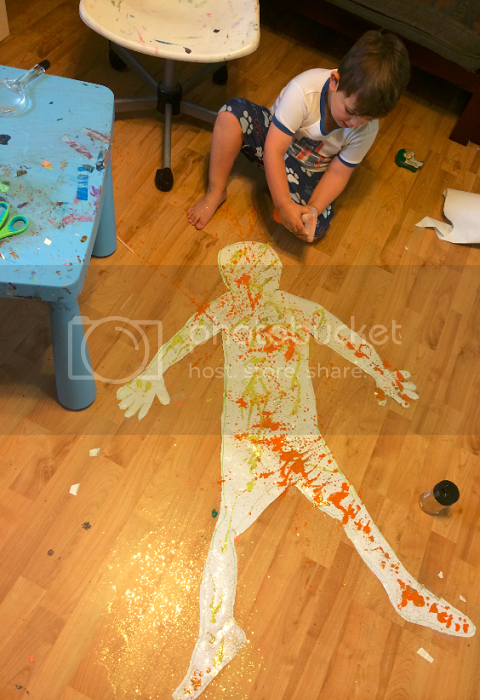 Using a roll of white paper from the educational supply store, I traced Ethan's body and cut it out. 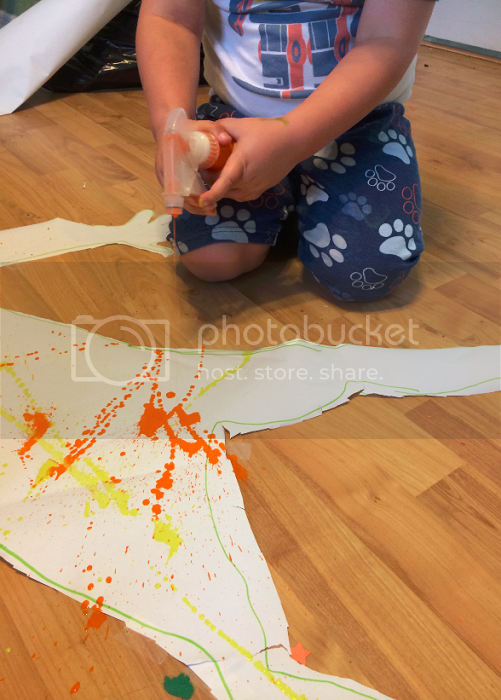 I filled some spray bottles with orange and yellow paint (plus a little bit of water so it sprayed easier) and let Ethan go to work making beautiful "stars" all over his body. 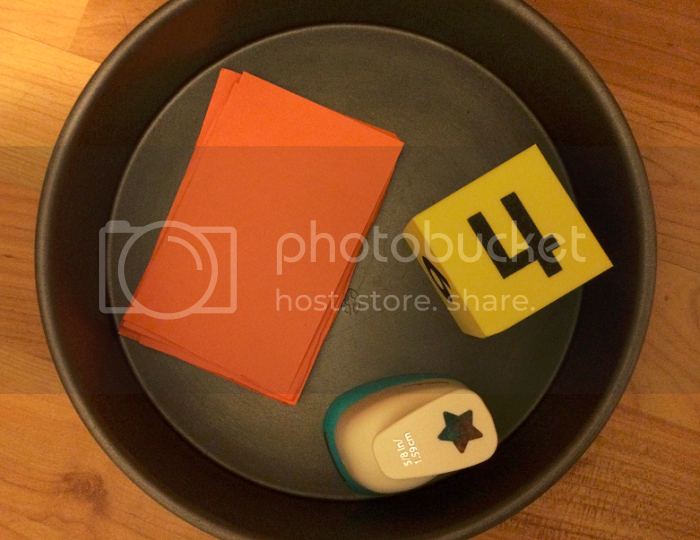 Week 1 of 2 of our stars theme came to a close this weekend and it was awesome. Ethan is so relieved to have tot school back and it feels great to be back into our regular swing of things. We began learning all about the stars this week. 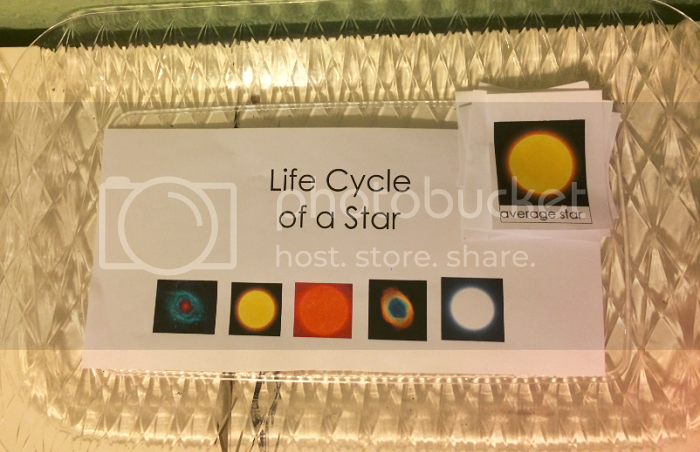 This one was a fun picture matching activity to identify the life cycle of a star -- or a lightened up version, anyway. 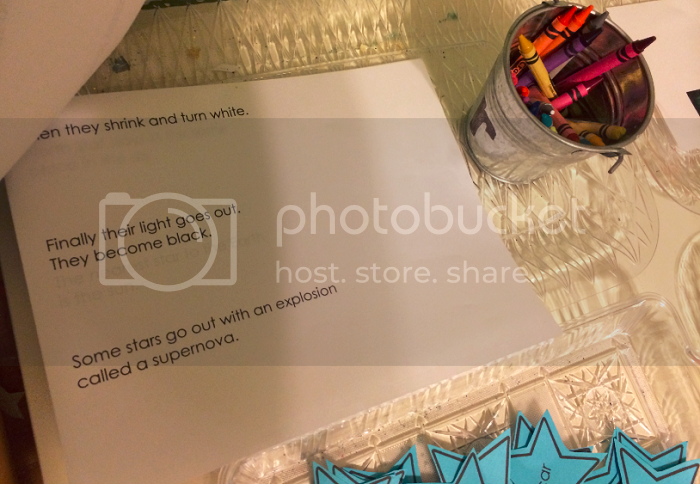 We paired this activity up with a guidebook about stars to read more about the lifecycle as we matched up the photos. 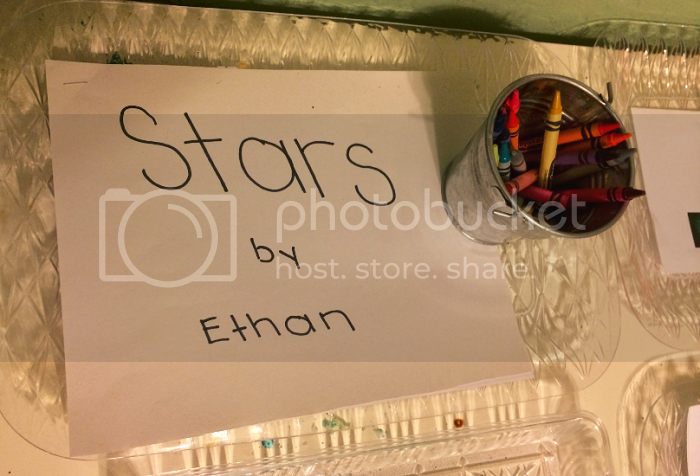 For this one, I made a little book of "star facts" and Ethan got to illustrate each one as he went. He worked on this over a couple of days and was so excited to show his daddy the book he had created. 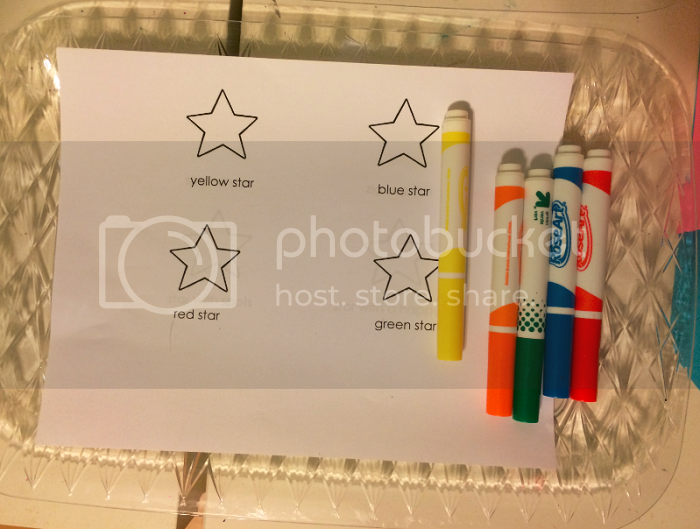 For this one, we practiced reading some sight words -- mostly colors -- and Ethan colored each star in as he read the words on the paper. They began with basic colors and then we worked on stripes, dots and other patterns. This was hands down Ethan's favorite activity of the week and I'll be keeping it on board for week two of our star theme. I wrote some cards with different "star" related words. Ethan's job was to practice reading each word, then build it with refrigerator ABC magnets and finally write the word himself using dry erase marker. Ethan absolutely loved this activity! 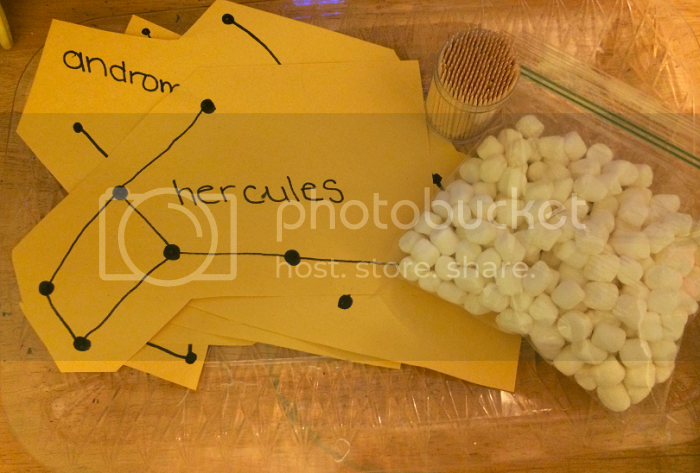 For this activity, I recreated some constellations on construction paper. Using toothpicks and marshmallows, Ethan got to build the constellations and match them up to the ones pictured. He absolutely loved doing this (and surprisingly didn't eat a single marshmallow!). 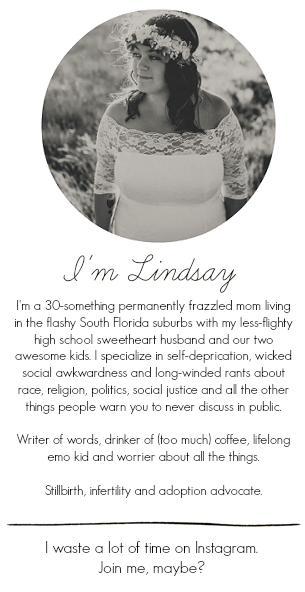 This was another fun activity I will keep around for the upcoming week! Ethan got to roll a dice. 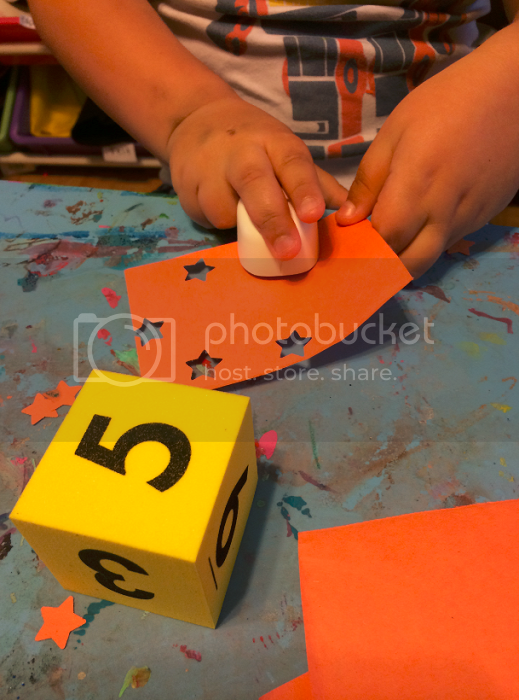 He identified the number it landed on and then used a star-shaped hole punch to punch that number of holes into a piece of construction paper. This is just another reason I love following the child's lead so much -- Ethan absolutely ran with this and used this game to teach himself some simple addition as he went along. I love watching little minds work!